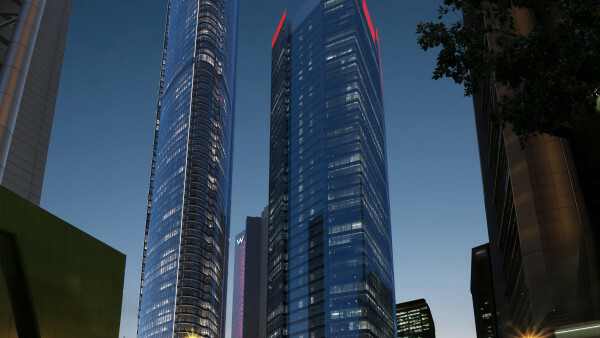 The 1 William Street office tower (1WS) will be a landmark structure in the heart of Brisbane’s government precinct. With 44 floors above ground, it will be the tallest commercial building in Brisbane. 1WS is the catalyst for a planned revitalisation of Brisbane’s Queens Wharf district. The revitalised precinct will include a blend of office and commercial spaces, hotels, cultural facilities, residential developments and retail centres. The building has been designed to be “an iconic built form that embodies the optimism and confidence of Queensland, while responding to the city, the environment, the lower George Street precinct and the contemporary workplace”. 1WS will be a Premium Grade office tower with an iconic lobby and select premium grade finishes and services throughout the building. The building design will target a 5 Star Green Star V3 Office Design and Office As Built and a 5 Star NABERS (Base Building) Energy rating. 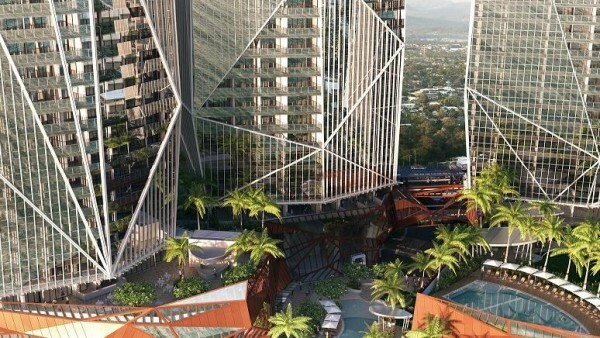 The unique central core allows extraordinary daylight and views in 360 degrees, but with the Sky Garden on one side and the laneway connections through the core it will be an innovative central space which improves circulation flows.